Long before the dawn of modern science, our ancestors knew the power of the human mind and its connection to the body and our wellbeing. 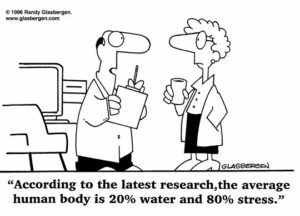 Ancient Greeks, for instance, believed that health could be maintained by adopting a moderate and temperate lifestyle. Their priorities were centered on creating health, beauty and happiness. The revered philosopher, Plato, advocated the importance of bodily exercises in developing the mind. Through his writings, he encouraged his people to pursue an ideal of harmonious perfection of the mind, body and psyche by taking care of their physique. Ancient martial artists and warriors from the Orient also understood that the gateway to a strong mind and spirit is through training their body for combat. With the advent of science and modern day technologies, we were able to establish the mind-body connection with empirical evidence. In one study, subjects were able to increase their finger muscle strength by simply focusing their mind on building their finger strength, without any exercise at all. After the trial, those subjects who continued concentrating increased their finger strength up to 22%! 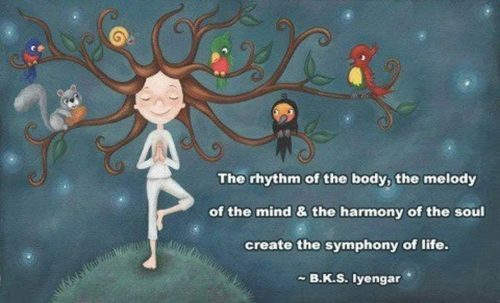 The reason why the mind-body connection is so strong is because of the enormous role that the mind plays within our bodily system. Everything starts with the mind. It’s the commander-in-chief governing all our basic internal functions, especially our thought process. With 86 billion neurons, billions of nerve fibers, and neurons connected by trillions of synapses, our brain is one big powerhouse of energy! So how do we recognize if we have a healthy and balanced mind? When neuroscientists did experiments where they scanned the brains of Buddhist monks, who lived moderate lifestyles and meditated regularly, they noticed that their brains produced intense gamma waves. Gamma waves are associated with peak concentration, extremely high levels of cognitive functions, and feelings of being blessed. You can tell that you’re in a “gamma wave state” when you feel balanced, calm and at peace with all that is. You’ll feel a sense of gratitude and a general sense of optimism about your life. When you do get rattled by your environment, you’ll find it relatively easy to go back to your center and focus on the present. Because of the stressful lifestyle in today’s fast-paced, urban environment, not many people possess this state of mind because they don’t devote enough attention and care to maintain a calm disposition. Either because they don’t know how to do it or they simply lack self-awareness or willpower. The truth is that caring for the mind requires just as much work and discipline as caring for the body. There are two main aspects to a good mental care regime. The first involves managing the biochemistry of the brain by living a balanced lifestyle through diet and physical activity, and the other is to exercise the neural pathways of the brain by keeping our mind active (in a good way). I believe we can appreciate the gift of a sound mind by looking at the challenges faced by victims who have suffered from brain damage and strokes. Also, those who suffer from an imbalance in the brain chemistry and consequently, face issues like depression, chronic fatigue syndrome and several others. So when you have a perfectly functioning mind, why not treat it right and let it unleash its power? A well-maintained mind will reward us in innumerable ways, with the most important one being an optimistic outlook on your life and better decision-making abilities. From a metaphysical standpoint, you’ll activate the Law of Attraction and attract the things and people that are most in alignment with you. When your mind’s focused on tranquility and abundance, that’s exactly what you’ll draw towards you. I’ve heard people argue that some of the most prolific artists and geniuses were eccentric, odd and offbeat. Some even drank alcohol and ingested recreational drugs to alter their state of mind to facilitate their creative flow. But even if they did produce exceptional work in an altered state of consciousness, it’s important to realize that it cost them dearly in other areas of their life such as relationships, health or spirituality. 1. Be conscious of your thought patterns: All of us have the tendency to experience constant chatter in our mind, which Zen Buddhists refer to as ‘monkey mind’. Just like a monkey, swinging through branches in a jungle, our minds can let go of one random thought and grasp onto another without us being aware of it. We’ll only pay attention once we feel the negative effects of it in the form of stress, anxiety and a disturbed mind. The only way to prevent this is by taking the driver’s seat and staying conscious of the thoughts that pass through our heads as we go about our day. Be aware of the thoughts that come up as you interact with different people and circumstances, and be careful not to judge your thoughts. Initially, all you need to do is to be aware of them, and then you can proactively take steps to reverse any unhealthy patterns. 2. Make time for rest and relaxation: Our minds can’t run like an Energizer bunny – at some point, it does need rest. We live in a sleep-deprived and stressed-out society, where people are always running low on energy. To avoid burning out, we need to carve out time for resting our minds and getting sufficient sleep. Sleep deprivation can affect the brain in several ways and can affect memory, slow down our reactions and impair judgment, so we need to ensure that we’re getting enough. We don’t need to take vacations or escape to a monastery to give our mind the rest it needs. All we need is small blocks of time where we can engage in relaxing activities such as mediation, yoga, walks in nature, listening to music, or anything else that induces a sense of calm within us. In an office setting, you can close your eyes for a few minutes and take long deep breaths to feel refreshed instantly. Schedule time away from technology, social media, and get rid of any “mental junk” so that you can focus on what really matters. 3. Adopt a healthy lifestyle: The ecosystem of our body is directly impacted by the kind of lifestyle that we choose to live. This includes the kind of food we eat and the amount of physical activities we participate in. Truly successful people maintain at least a certain degree of clean living because it creates a sense of balance and a sound mind that’ll help them make responsible and smart choices in their lives. Clean living means that you eat a nutritious diet, filled with brain-friendly food, and drink plenty of water. It also includes getting optimal levels of physical activity, which boosts the mind’s function by regularizing the blood flow to the brain. Living clean also requires that we stay away from substances such as alcohol, nicotine and recreational drugs, which damage our brain cells. 4. Engage in learning and creativity: A healthy mind is an active mind that’s stretched on a regular basis through learning and creative pursuits. A brain is like a muscle that needs to be worked out through stimulating it with knowledge and intellectual challenges. Mental fitness has been on the decline ever since we’ve introduced mindless video games, television, and other things that don’t need much mental energy. We need to fight this laziness because without sufficient mental stimulation, our brains can rapidly age and degenerate. Mental activities such as reading, solving puzzles, attending courses and lectures, and engaging in creative hobbies can stimulate the brain cells and strengthen the connections between brain cells. 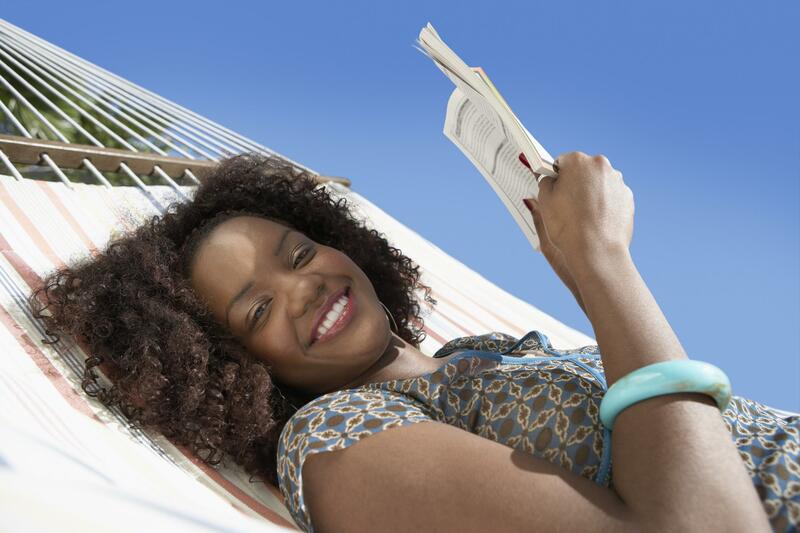 You can try out some games and exercises to improve your memory and focus. Engaging in these activities will lead to a sharp, intellectually and creatively driven mindset. We also need to avoid any negative and irrelevant news that doesn’t enhance your life. 5. Have a foundation of support and spiritual connectedness: Humans are social beings and our happiness is strongly linked with how connected we feel to others. We derive a big source of comfort from a community of family, friends, co-workers and partners who support us. Some of us need extra support beyond the Earthly realm. We want to feel connected to something that’s bigger than ourselves that lies in the field of cosmic consciousness. Having faith and being connected to a source of inspiration, love and goodness will provide a buffer against those rough and challenging times. 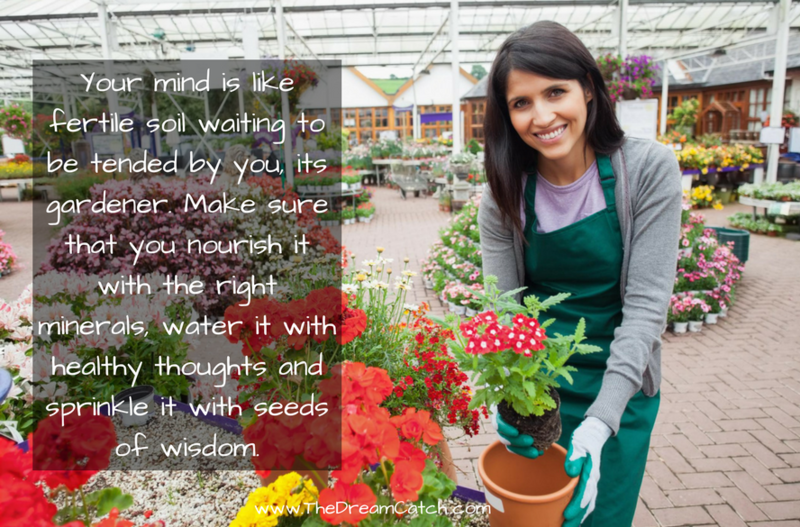 Your mind is like fertile soil, waiting to be tended by you, its gardener. You have the responsibility to manage it carefully by nourishing it with the right minerals, watering it with healthy thoughts, and sprinkling it with seeds of wisdom. In time, those seeds will sprout into exquisite flowers, creating a beautiful garden for you to revel in. Question for you: Are they any other special techniques that you like to follow in creating a healthy and balanced mind? As someone who struggles with depression and anxiety this is a big one for me….it is a constant struggle to balance my physical, mental, and emotional health while also trying to take care of my family and all of my other obligations and responsibilities. Glad to know Sam 🙂 I’m sure that you will!